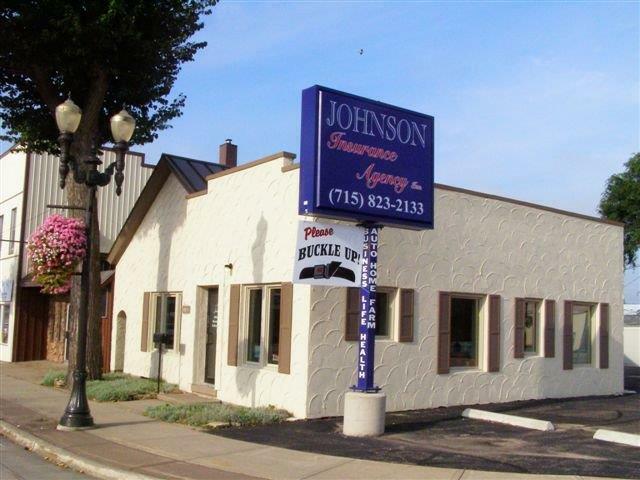 Personal, Business & Food Truck Insurance - Johnson Insurance Agency, Inc.
Family owned and operated, we opened our doors in 1948. In the more than sixty years since, we have dedicated ourselves to providing residents of Waupaca, Clintonville, and the surrounding areas with the insurance protection they need most. Our staff is licensed in both Wisconsin and Illinois, and combined, have more has more than 127 years of insurance experience. Having served the area for so many years, we have developed close ties to the community. We are pleased to actively support local schools, arts, and athletics, as well as the Boy Scouts, Waupaca Area Chamber of Commerce and United Way of Wisconsin. As a multi-line, independent agency, we have access to many different coverages. We work together with trusted carriers such as Cincinnati Insurance, West Bend Mutual, Secura Mutual, and Progressive, to match clients with the best available policy and rate. We offer both commercial and personal policies such as home, auto, and life. However, through the years, we have also expanded to offer more niche products, such a long haul trucking insurance – a specialty of ours. At Johnson Insurance Agency, we take the “family” of family business seriously. We take pride in the way we treat our clients and have their best interest in mind at every step. By working one-on-one with customers to identify their needs and any potential exposures, we are able to match them with the right coverage. Once we have the perfect policy in place, we conduct annual reviews to keep it up to date. In the age of automated messages, our clients know that they will always speak to a team member during business hours. We understand that time is valuable, and we will typically turn quotes around in 48 hours.